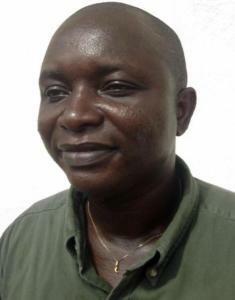 Friday July 29, 2016 - Two years ago, on this day Sierra Leone lost the first doctor in the battle against the Ebola Virus Disease. The passing away of the brave and dedicated Dr Sheik Umar Khan. Not a word of reminder from the nation wreckers and thieves. On this day, two years ago, we lost the first of a number of doctors in the battle against the treacherous and devastating Ebola Virus Disease - an affliction that was making its first devastating appearance on the health landscape in Sierra Leone. Despite initial reports by certain journalists that the disease, which was then ravaging victims in neighbouring Guinea could have entered Sierra Leone through the porous borders as they reported deaths similar to those in Guinea, the "re-branders of the rat - false and selfish trolls to boot" roundly condemned these journalists - describing them as "unpatriotic". The then rat-appointed Health Minister one Miatta Kargbo was at her wits end and like the rest of the gang of uncaring government woefully failed to put in place the necessary measures that would have spared the lives of the thousands that were killed by the disease. The so-called patriotic and shameless vermin, who feeding fat on the droppings from the rat are to be reminded of what one Samuel Johnson said - "Patriotism is the last refuge of the scoundrel" and we would add the last refuge for the nation-wreckers, blood money suckers and unrepentant thieves of Sierra Leone. Doctors and other health workers, never having encountered the rapid and devastating effects of the disease were also caught quite unawares and had to play things by ear in a system where health delivery as with other vital services, was more of a political issue than a pragmatic approach to the disease. Nurses and doctors at the Kenema Government Hospital where Dr Khan was based believed or were made to believe that it could be some form of the deadly Lassa fever which they were familiar with and helped victims of the Ebola Virus Disease to make them comfortable and save them from the clutches of the disease. They therefore found themselves in contact with the body fluids of those affected and got infected, not knowing what could have led to them becoming victims. In desperation, many of them improvised protection regimen that did not work as more of them including the afflicted victims succumbed to the ravages of the disease. Dr Khan's death highlighted just how wily the killer virus is as it goes all out to weaken the body's defence systems and prepares the victim for death. It would be recalled that while the good doctor was busy attending to people who were badly in need of help, he at one stage subjected himself to a test for the virus. "At the time of his diagnosis, it was not immediately clear how Dr Khan became infected. 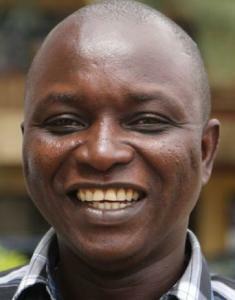 While health workers are especially vulnerable to contracting the virus spread through bodily fluids such as saliva, sweat, blood and urine, Reuters reporters who visited Kenema in June heard the doctor was “always meticulous with protection, wearing overalls, mask, gloves and special footwear”. Before his diagnosis, Dr Khan told reporters: "I am afraid for my life, I must say, because I cherish my life." "Health workers are prone to the disease because we are the first port of call for somebody who is sickened by disease. Even with the full protective clothing you put on, you are at risk," he added. At one stage, as the death toll rose, calls for the rat to visit the Kenema Government Hospital to see what was happening in that part of the country where citizens were dying in their numbers was ignored by the rat with his "re-branders" and other thieves and nation wreckers insisting that as the rat was/is the number one citizen, he should not expose himself to nor witness the ravages of the disease. At one stage, after assurances that he would be flying to Kenema came another excuse. That there was not enough fuel in the helicopter for a flight to the epicentre (The rat called it epic centre) of the disease and so abandoned any idea of witnessing the toll of the disease on the same citizens he had taken an oath to care for, through thick or thin. Indeed the battle against the Ebola Virus Disease took on a political hue in the hands of the uncaring and evil cabal headed by the rat. All cases of the disease from any part of the country were sent to Kenema where an overwhelmed and exhausted health system were well past breaking point. The Sierra Herald pointed out in article after article that health centres should be set up in other parts of the country to ease the burden on the Kenema facilities. It all fell on deaf and uncaring ears as victims from especially the north of the country were ferried over long distances to Kenema. Many died on the way being unable to reach the Kenema facilities. Those who got there died even before they were seen by overstretched and overworked health workers. In the end and with a certain degree of reluctance, the rat finally declared a state of national emergency, a vital cog that should have been done in the initial phase and which neighbouring Liberia under President Ellen Johnson-Sirleaf had put in place. Liberia was the last of the three countries to be hit after Guinea and Sierra Leone. 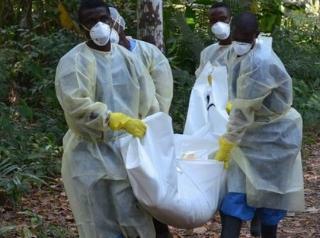 International appeals were made by governments, non-governmental organisations as well as the World Health Organisation, the WHO to help Sierra Leone. Help poured in from all parts of the world - from African countries through European states to the United States and China as caring people rushed in to help the people of Sierra Leone. As we now know, this lack of direction in the initial attacks of the disease was a deliberate ploy by the rat and his cabal to create a putrid pot of money made from the sufferings of the Ebola dead as well as survivors that would be shared by him and his associates parading as contractors and delivery agents for ambulances and other paraphernalia needed in the fight against the disease. Contracts were dished out for all manner of money-making ventures as victims died in their thousands. Contracts for the feeding of those afflicted were awarded to vultures and rats handpicked by the chief rat at State House. There was the Information Minister, one Alpha Khan, sensing the kill that is to be made from funds flowing to combat the killer disease came out with a what his praise singing sections of shameless and slimy vermin passing off as journalists - the Alfaka Foundation. This was a conduit hurriedly set up by the con artist to siphon funds meant for the fight against the killer disease into his pocket using all tactics to ward off the light of probity. The reports by the Auditor General threw the light on what had been going on under cover of helping the afflicted. It was now clear that despite the rat's declaration that anyone meddling in the finances of the health delivery system for personal gain was feeding on blood money never stemmed the flow of funds into the pockets of individuals. No one was punished despite the glaring revelations. What we noticed was that in the wake of the revelations, there arose a battle between one RASSin Bundu calling himself Majority Leader of a disgraced, not fit for purpose and opportunistic Parliament and the then head of the Anti Corruption Commission one Joseph Fitzgerald Kamara over the right to bring the shameless thieves and blood money racketeers to justice. In the end, the nation wreckers were let off the hook. The Anti Corruption Commission allowed its powers to be usurped by a compliant Parliament, the Police even after seeing a public document that shows wrong-doing did not left a finger to bring culprits to book neither did the even more compliant Judiciary that should be independent of the other two arms of good governance - the Executive headed by the rat and the Legislature whose Speaker was put in place after the usual criminal dexterity of all those who had sworn to defend the Constitution. frontline workers without proof of payments. The Incentive payment list had names of about 271 ghost workers, totalling 216 million Leones unaccounted for. A failure to produce contract agreements for vehicles, ambulances and construction of an Ebola Treatment Centre in Port Loko, the northern district of the country was reported. On 17 February, Sierra Leone's Anti-Corruption Commission issued a public notice calling on 40 named individuals, institutions and companies to report to its offices. All District Medical Officers will be summoned at a later date. judicious use of the Ebola funds and will ensure proper accountability for the use of these funds…those who are found guilty of misusing Ebola funds will face the full force of the law." And what does this mean in real terms? Nothing in the land of the nation-wrecking gangsters.